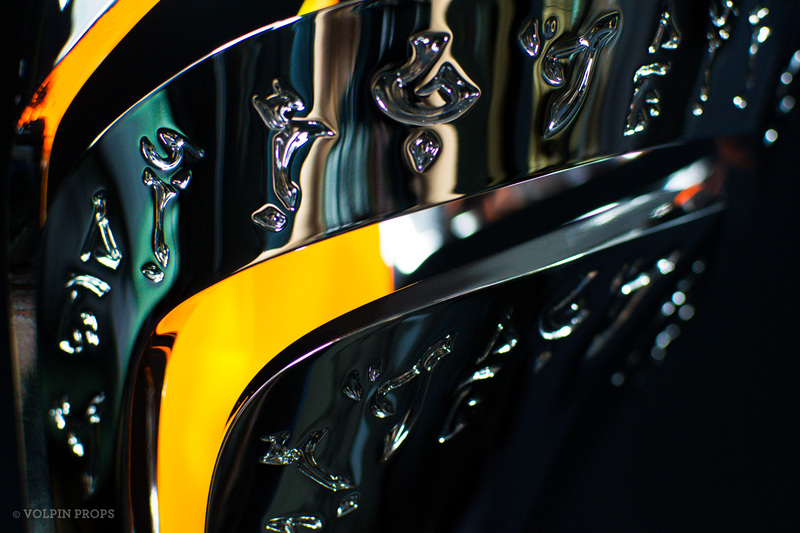 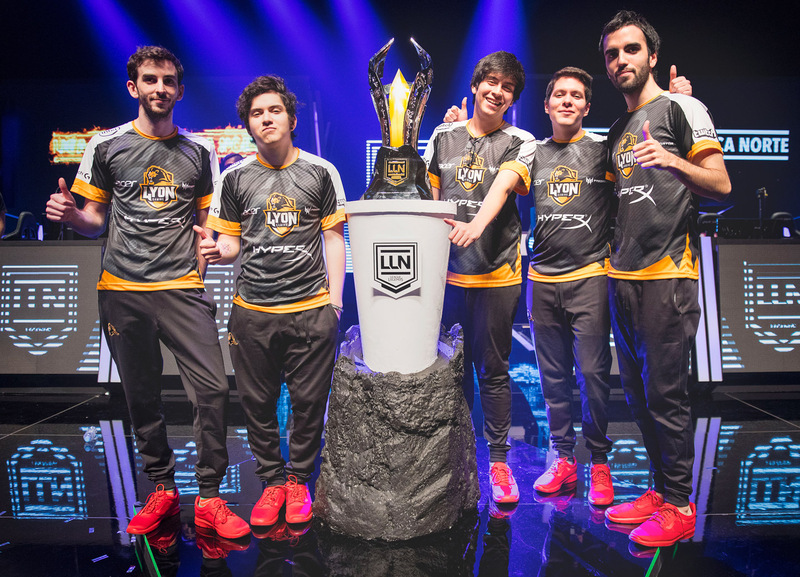 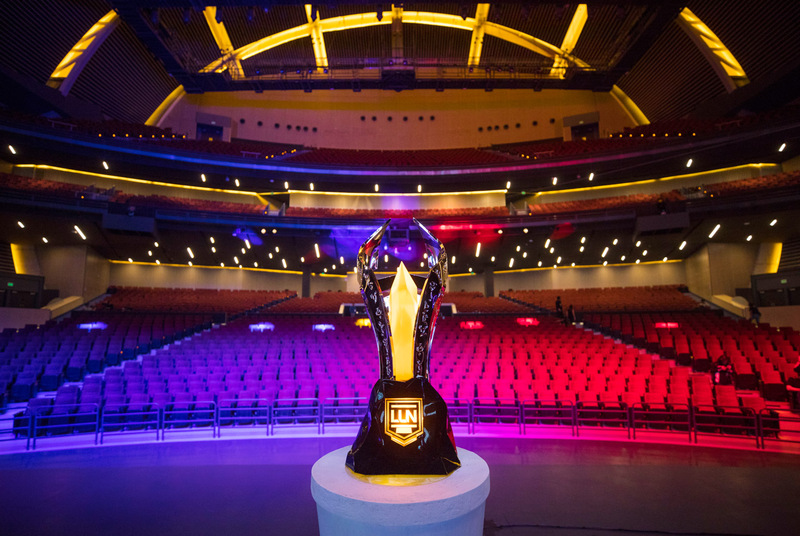 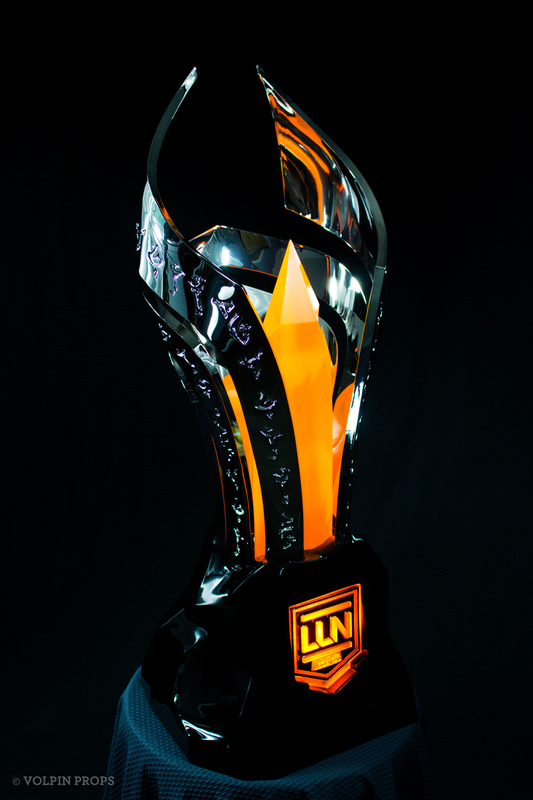 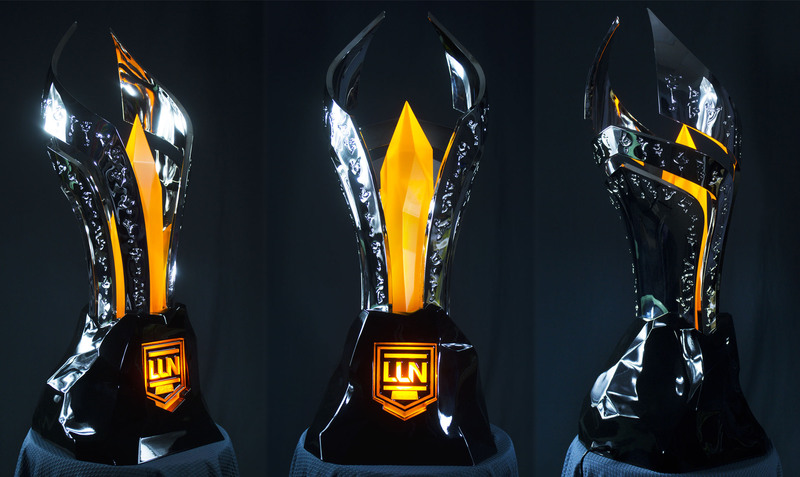 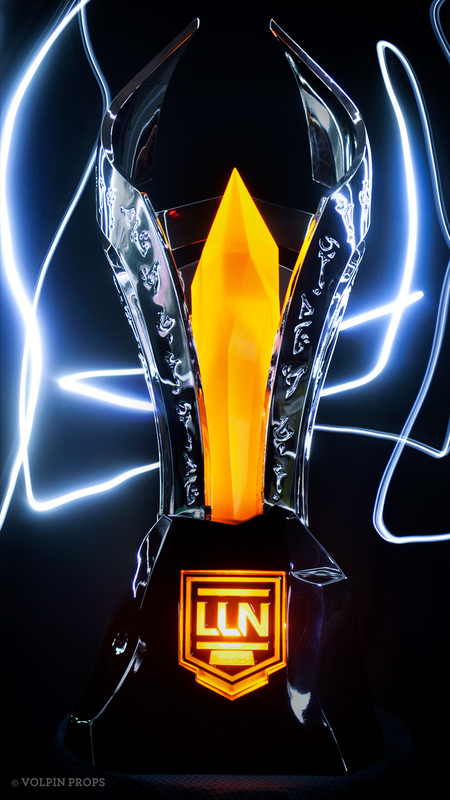 Continuing our relationship with Riot Games eSports, the team in charge of the regional championships for Riot’s Latin America division asked us to create the trophy for their annual tournament. 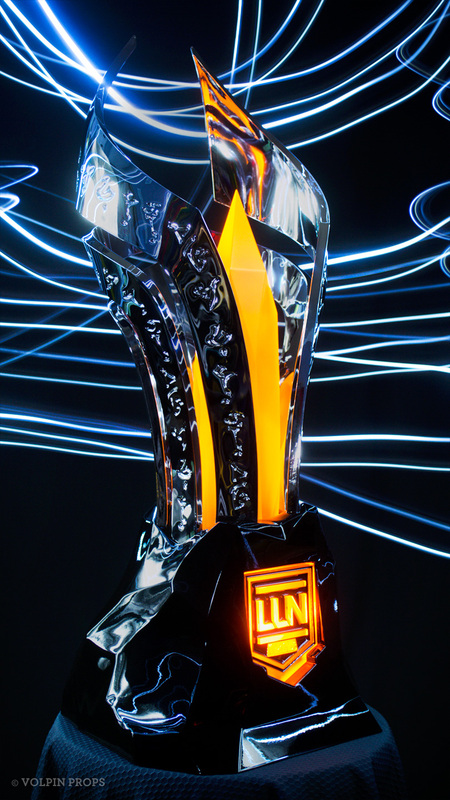 Riot had a rough sketch design of this piece for us to work from, which was expanded upon and 3D modeled for production. 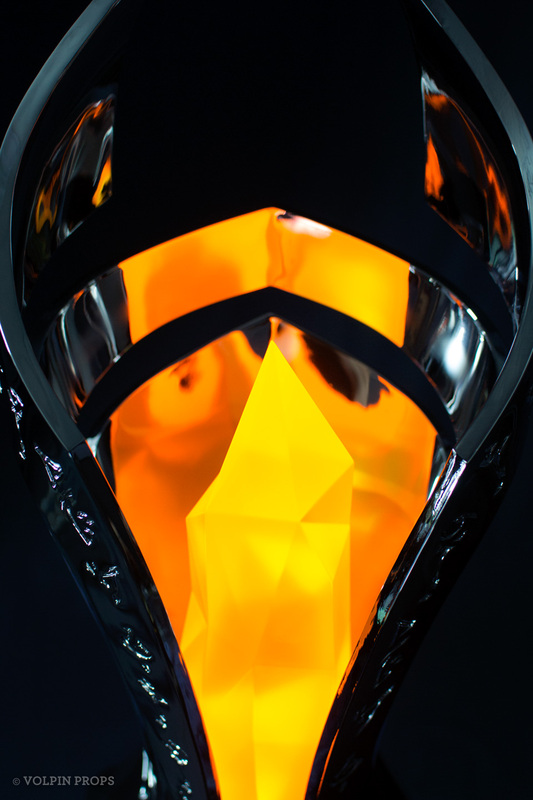 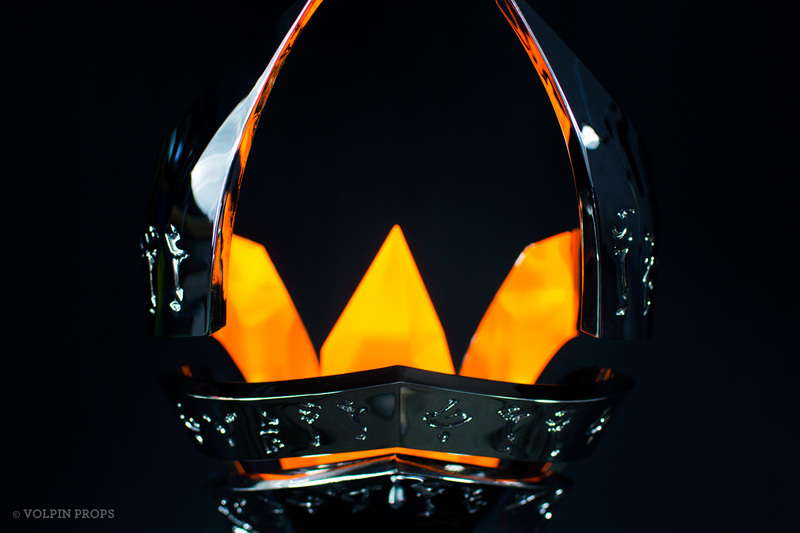 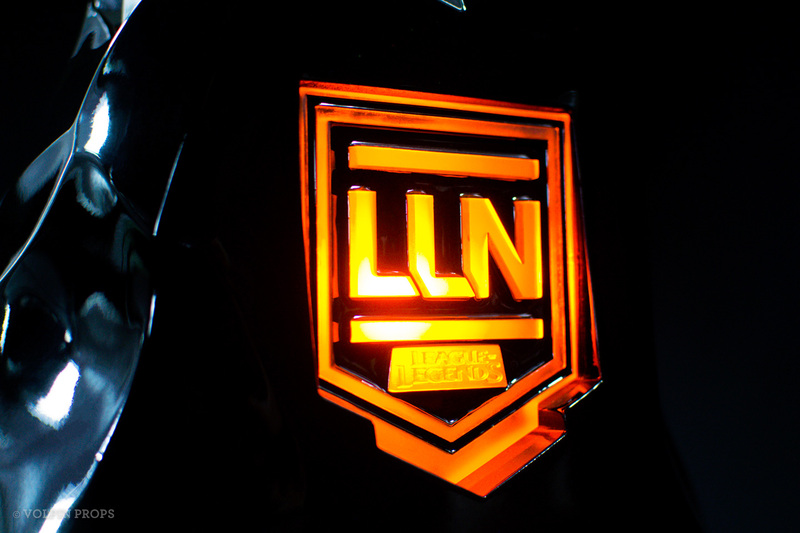 One request was the trophy contain illuminating elements – the large crystal on the interior and the front logo badge both light up courtesy of two very high watt LED bulbs. 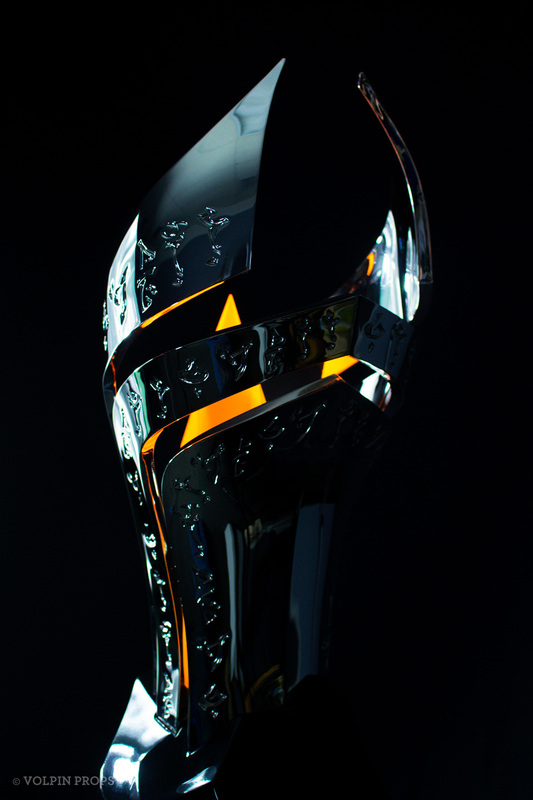 These can be powered both by an external power supply through a port at the back of the trophy so the piece can remain lit throughout the tournament, and they can also switch to internal battery power so the illuminated trophy can be lifted during the winning team’s celebration. 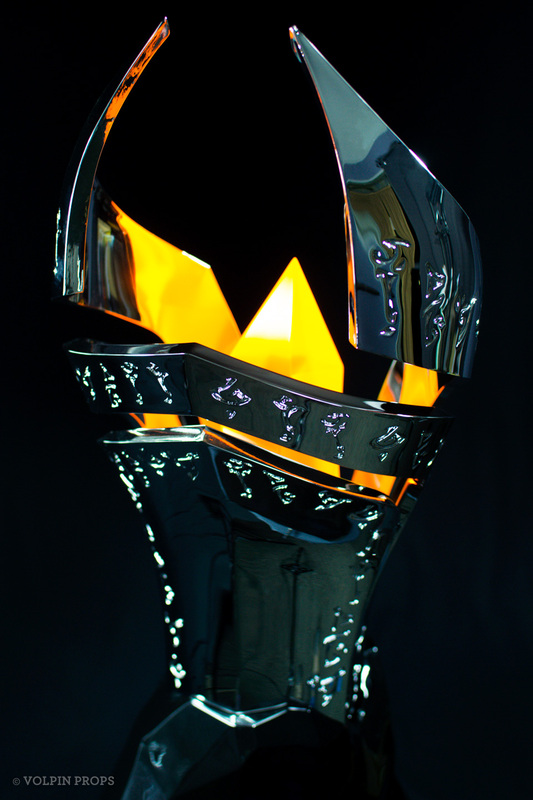 Each of the thin spire sections was individually cast in urethane and rhodium plated chrome to reflect as much of the crystal’s light as possible. 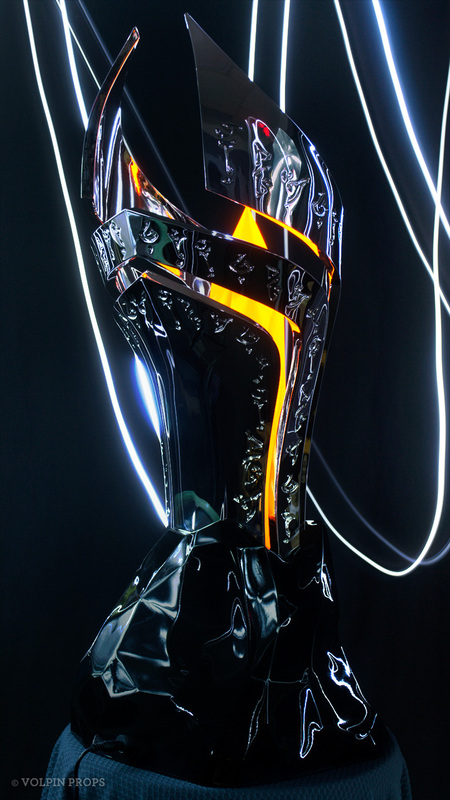 The finished piece sits 25″ tall and weighs close to 20lbs.